The Kel-Berg Group holds a large stock of new and used trucking equipment ready for immediate delivery. 2017 saw Wexford native John Byrne come on board with the company and he was able to give us the breakdown of their Irish Operations. Kel-Berg Trailers & Trucks Ltd has been a name present in the UK market since back in the mid-1980s and throughout the years it has kept ahead with the changes in UK and European markets. Through 2015 and 2016, Kel-Berg concentrated on investing and improving its facilities in the form of a drive through DVSA authorised testing lane and an IVA lane, enabling them to offer a complete on site solution. They also extended their five bay workshop to eight bays, which has enabled them to offer their new body supply and fitting facility. 2017 has saw that same investment continue with another five bays and more Whole Vehicle Type Approvals, as well as research and development going on behind the scenes. In Ireland, the Kel-Berg Group operate from Enniscorthy in Co Wexford through a man by the name of John Byrne, who was good enough to take time from his busy schedule to tell Irish Trucker what they’re all about. “Kel-Berg started in Scandinavia around Denmark and Norway 35 years ago and set-up an office in the UK in the mid-1980s,” said John. 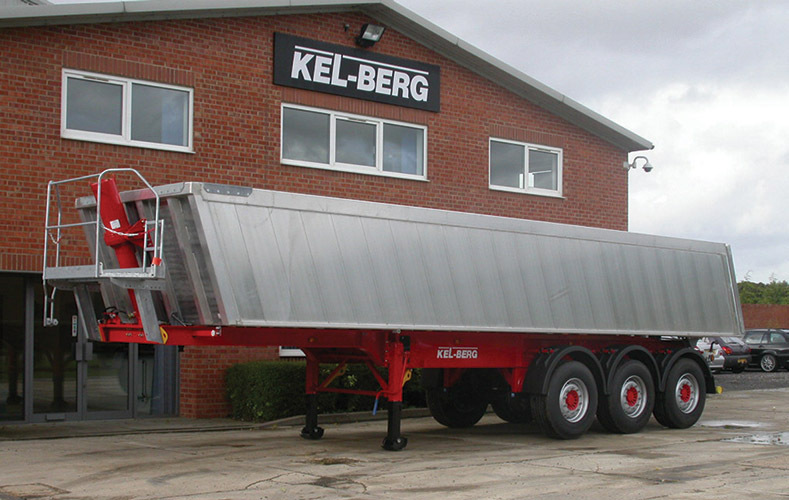 “Kel-Berg manufacture and supply a range of different trailers from Aluminium and Hardox Steel Tipping trailers to machinery trailers, flats, curtains and fridges. “Kel-Berg has been contracting rigid trucks for many years as well now and supply their own Hardox steel muck and double skinned bodies. They make them in Denmark and ship them down to the UK where bodies, cranes and covers are fitted to customer requirements. They are very successful with their grab lorries and have achieved a great name for a quality product, quick turnaround and excellent value on part exchange vehicles. Kel-Berg Ireland is the leading supplier of tipping trailers in the UK and Ireland with a variety of body types available in steel, and aluminium both available in Tar spec models. Their T100 Aluminium U shaped Tipper has been a huge success for Kelberg who have supplied thousands of Tippers to Sand and Gravel men due to the trailers light weight design and construction. The current T100 Alloy Tipper weighs in at an astonishing 5280 kg which offers customers considerable extra payload with some customers achieving 32-tonne payloads. The company has also invested heavily in robotic welding technology to supply seamless welding on its Rigid Bodies and purchased 700-tonne brake presses to improve its ability to bend huge sizes of steel. They also provide all of the premium brands of parts – “whatever the customer wants”, as John himself says. His own background saw him working in machinery sales before Kel-Berg came calling and he couldn’t turn down the opportunity. “I worked with Dennison Trailers for a number of years and I had done some work with Kel-Berg Truck and Trailers in the past who I always found to be an excellent company to work with. So as soon as they asked me would I do some work in Ireland for them I had no hesitation to join their team,” John outlined. He continued: “I only started with Kel-Berg this year (2017) and I have to say that business has been good. I’ve been connecting with a lot of old contacts and have been met with nothing but positivity since. Customers are glad to see another supplier alternative for trailers now that the market has picked up again. More suppliers means better prices for hauliers. “We’ve had some success with the second-hand grab lorries lately, which is another string to our bow, and the grab lorry market is quite good at the moment, I can tell you. From the base in Enniscorthy, customers can pick up either new or used stock which includes tipping trailers, low loaders, grab loaders, rigid tippers, mixers and many more (see www.kelberg.com). Kel-Berg Trailers & Trucks Ltd has earned a reputation based on sound advice and top quality service. “We have a wide customer base here and in the north we’d have a lot more success with the aluminium,” said John. So what’s the secret? Why do Kel-Berg’s clients tend to choose the company first ahead other competitors in the industry. John says it’s all about the PAYLOAD. “Customers are getting over 31 tonnes per pay load. If they’re saving a tonne per load every time they go out, that extra tonne they carry saves a lot over the lifetime of the trailer,” he said. The company’s parts department stock a wide range of parts for Kel-Berg products, most of which are available for next day delivery with secure online ordering payment via their new dedicated parts website. As for the service department at Kel-Berg, the firm has years of knowledge between them and can nine times out of 10 diagnose any fault or problem with Kel-Berg products over the phone. Their experienced staff has access to the latest Knorr Bremse diagnostics equipment and various other diagnostics equipment on site. Although Kel-Berg do not have their own 24/7 service van in operation, they do have a wide range of service networks available to them through their suppliers service networks and can easily help customers far and wide gain contact with the appropriate service agent to help. 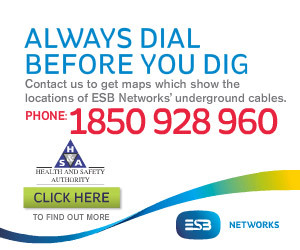 No matter how big or small you think the problem may be, or in or out of warranty the product is, you can contact them. Kel-Berg are happy to announce that the have been added to IVECO’s Approved Bodybuilder list for their drive away scheme. Looking towards 2018, John sees a bright future ahead for the company.